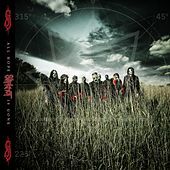 Arriving on the heels of a two-year hiatus, Slipknot's All Hope is Gone proves worth the wait with a barrage of near-perfect metal musicianship spanning 12 tracks. Subtly channeling the angst of Iowa ("Gematria [The Killing Name]"), the masked band shows its ability to go from solid hard rock ("Dead Memories") to technical heaviosity ("Butcher's Hook"). Both newcomers and long-time supporters should find something to dig into here, though the sraight-up ballad "Snuff" could be a longshot. 2008 The All Blacks U.S.A., Inc. Issued under license to The All Blacks U.S.A., Inc. from Atlantic Records. Roadrunner Records is a registered trademark of The All Blacks B.V.